If you have never read tablature, you need to take a few minutes to understand how it works and know how to recognize the symbols that appear on the lines, which are the strings of the guitar. ? The number placed on a line of tablature indicates you have to press that fret on that string.Zero indicates to play a string open. The technique of ‘bending’ is when a player pushes a string upwards to change the pitch of the note he is playing. You can bend your note up a semi-tone (1 fret), a full tone (2 frets) or as much as you fingers can handle!!! When bending a string with the third or fourth fingers, you can use the lower fingers on the string to add to the strength of your bend. Try not to bend using just the force from your fingers; try to use the strength of your whole arm, pivoting from the elbow. The most important thing to consider when learning to bend notes is getting the pitch right. Every note on the guitar will require a different amount of pressure to bend it up to the desired note. This means that when bending notes, you need to develop and rely on being able to hear when a bent note is in tune, or if it’s out, how far out and in what direction so you know how to fix the problem. Vibrato is a slight but constant change in pitch of a note. Unlike bending when you change the pitch by half a tone or a full tone, here the change in pitch is much smaller. You can play vibrato fast or slow, it depends on what suits the song/solo/melody. It can be used anywhere and can really spice up a note that’s left ringing. A Hammer-on is when you play a note, then use another finger to sound a higher note without picking it. To do this you pick the first note, and then push another finger down onto a higher note. The force of the finger being brought down onto the string will create the sound. To make sure the hammered note is clear, it is important that you use a good amount of force with the hammer-on, and also that you use the tip of your finger as that should be the hardest surface of the finger. Sliding is a legato technique that allows a guitarist to manipulate the sound of a note after it is played. Slides enable you to connect two or more notes smoothly and quickly, and make for more seamless position changes on the fretboard. They add life to notes and lend a vocal quality to your licks. Sliding is an essential technique for both rhythm and lead playing. As the name suggests, a slide is produced by picking a fretted note and then sliding your fretting finger up or down the string, maintaining contact with it, to arrive at a new note on another fret. When the destination fret is reached, this new note will sound. The above tabulature shows both sliding up and down. Forward slash & backward slash can be used to represent slides. However at some websites 's' is also used to represent a slide in a tab. 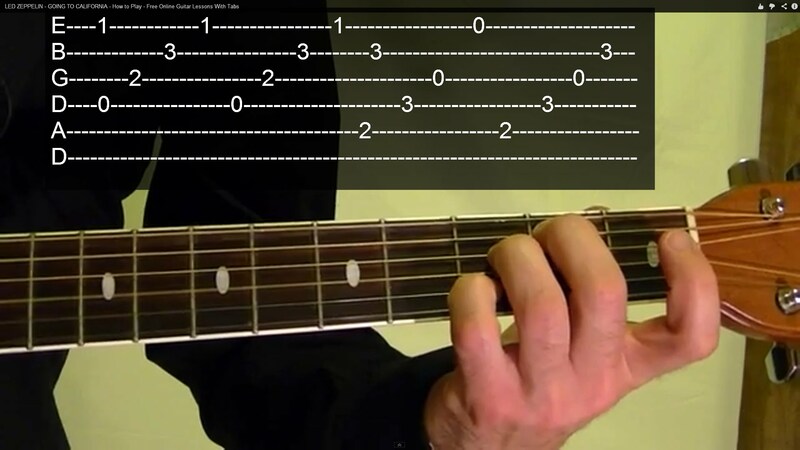 The above tab shows that 5th fret of G string is played and then slided to 7th fret. And then 7th fret of D string is played and slided up to 5th fret. Note that sliding can happen only on the same string.